Community Outreach - HARCO Insurance Services Inc.
All of us at HARCO take great pride in our involvement with many local community and charitable activites. This portion of our site will continue to be developed further to detail these events and bring you photographs that will share our enthusiasm for these worthwhile projects. 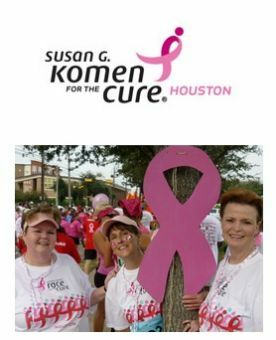 Houston’s Susan G. Komen for the Cure Walk/Run was held Oct. 4, 2009 Over 30,000 participants were there for the cause! Darlene, Carole & Kathey walked the 3+ miles and raised over $500.00 for the cure. We are proud of them and hope our group participation and contribution is even bigger next year!